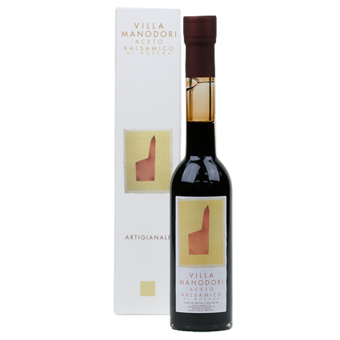 Villa Manodori Balsamic Vinegar "Artigianale"
Villa Manodori Balsamic Vinegar is the labor of Massimo Bottura, Chef of Osteria Francescana in Modena, Italy. He produces this artisanal vinegar in very limited quantities. Villa Manodori begins with locally grown trebbianno grapes, which are reduced into must, and then aged in oak, chestnut, and juniper barrels. 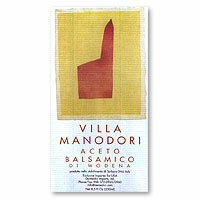 Villa Manodori's dark color and rich aroma reflect a century tradition.